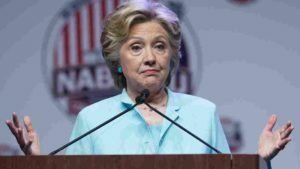 Washington, DC insiders are saying Democrat presidential nominee Hillary Clinton, who has avoided meeting the press through most of the 2016 campaign, will attempt to “run out the clock”as scandals surrounding her candidacy continue to mount. The question is whether Clinton can pull off that well-known sports tactic until November, especially in the wake of the Associated Press’s devastating “State Department-for-sale” expose. North Carolina basketball coach Dean Smith used the four corners offense to great effect to run out the clock on a number of his 879 career victories. But that was before the shot clock – and social media. According to the AP’s review of State Department calendars, 85 donors contributed as much as $156 million to the Clinton Foundation. At least 40 donated more than $100,000 each, and 20 gave more than $1 million. Those donors included an internationally known economist who asked for her help as the Bangladesh government pressured him to resign from a nonprofit bank he ran; a Wall Street executive who sought Clinton’s help with a visa problem; and Estee Lauder executives who were listed as meeting with Clinton while her department worked with the firm’s corporate charity to counter gender-based violence in South Africa, the AP report noted. Clinton also met with representatives of at least 16 foreign governments that donated as much as $170 million to the Clinton Foundation, but they were not included in the AP’s calculations because such meetings would presumably have been part of her diplomatic duties. On Aug. 22, Bill Clinton said in a statement that if his wife were to win, he would step down from the foundation’s board and stop all fundraising for it. That move would not affect more than 6,000 donors who have already provided the Clinton charity with more than $2 billion in funding since its creation in 2000.